If you thought Nvidia's new RTX laptop GPUs are going to push prices sky high, you just might be wrong. When Nvidia announced its first RTX desktop cards at significantly increased prices last year, many assumed RTX laptops would see the same huge spike. Well, you can breathe freely again, because it doesn’t look to be that bad after all. Although we have yet to see final pricing for all of the 40 or so new RTX laptops, at least one vendor shared some details. 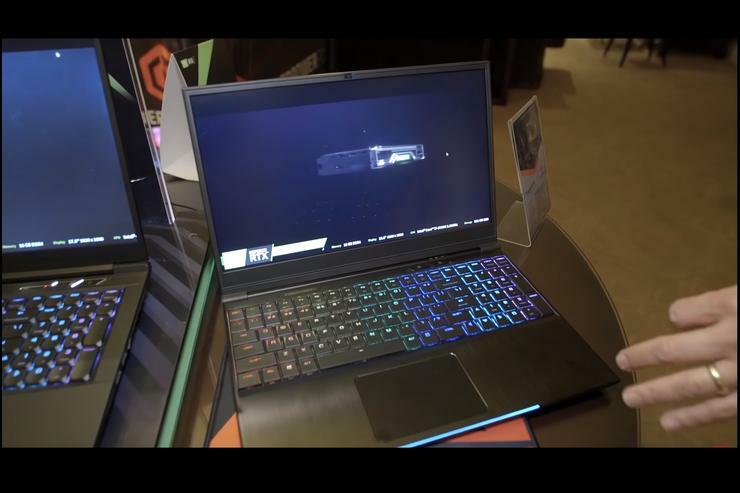 CyberPower’s new 15.6-inch Tracer III 15R with a GeForce RTX 2070 Max-Q, 8th gen 6-core Core i7, FHD 144Hz panel, 16GB of RAM, 512GB SSD, and low-profile mechanical keyboard with per-key lighting is expected to go on sale at the end of the month for about $1,799. Move on up to the larger 17.3-inch Tracer III 17R with a GeForce RTX 2070, an 8th gen Core i7, FHD 144Hz screen, 16GB of RAM, 512GB SSD, and low-profile mechanical keyboard with per key lighting, and you’ll have to pony up $1,900. And for those who want to get prices down even lower, CyberPower expects the Tracer III 15 R with an H-class Intel CPU and GeForce RTX 2060 to come in at roughly $1,500. To give you an idea of how surprisingly reasonable that is, consider the original GeForce GTX 1060-class laptops were basically the same price at about $1,500. The upshot: It doesn’t look like gamers will experience the same sticker shock they received with the desktop GeForce GTX 2070—which came out at $500, or more than $100 than the GTX 1070.